New! 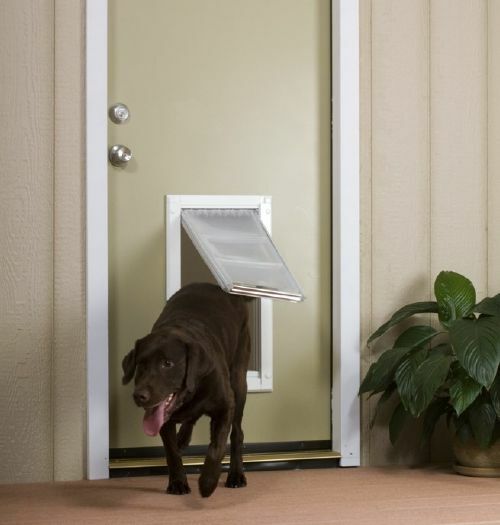 Extreme Performance 'Endura' flap - The best, most highly engineered pet door flap ever made. Tired of replacing worn out, leaking flaps? You owe it to yourself to investigate the Endura Flap. It seals, it insulates and it will last forever! New! 'High Aspect Ratio' design: Much easier to fit your pet. 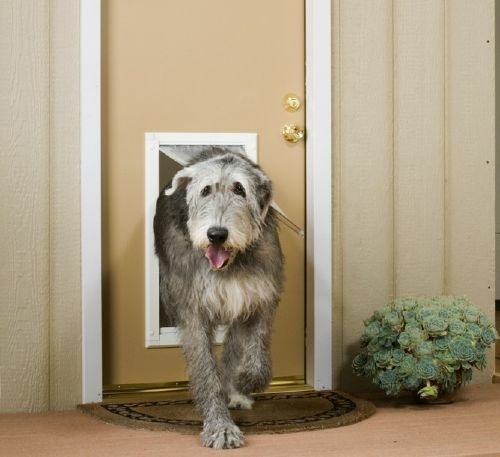 Improves security for medium to large size pets. Easier to share with a smaller pet. New! 'Green' flap material - Safe for the environment unlike vinly (PVC) which is not. 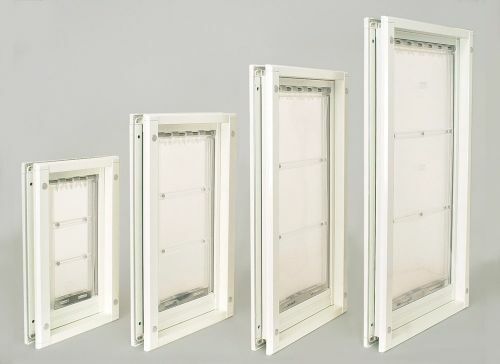 Self-Framing for all doors - 1/2" - 1 3/4" single flap version and 1 3/4" - 2 1/4" double flap version. (Adjusting the single flap to less than 1 3/8" requires cutting the trim frame with a jig saw). 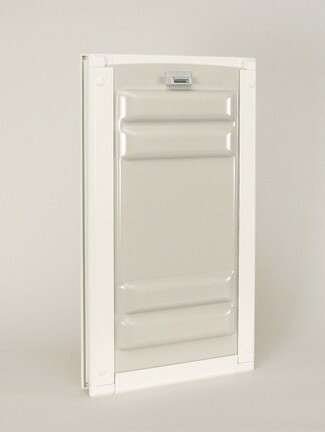 Sturdy Locking Cover - Locks pets in or out. Easy to use clip lock is better than the oldspring-loaded pin locks. Four Sizes - From #6 (small) for cats and small dogs to the #12 (x-large) for very big dogs. 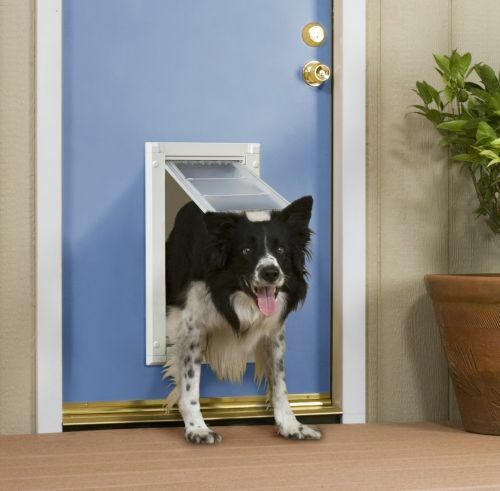 Choosing the correct size door for your pet is not difficult. You can always get a door which is a little bit larger, but do not get a door which is too small. If you have more than one pet you need to focus on the larger dog. See Additional Information. A note on single versus double flap versions: We think that the single flap version is adequate for all but the most demanding climate situations. 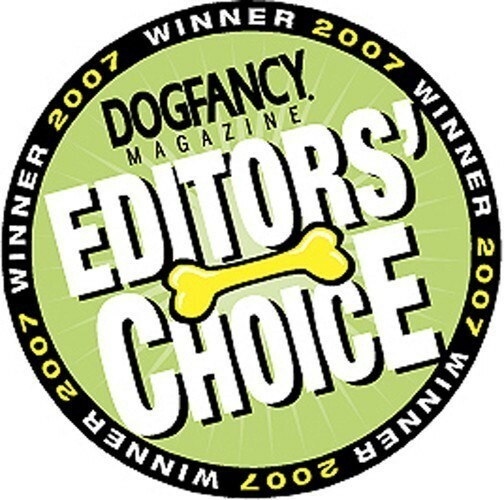 Our best advice is that if you're happy with your existing double-pane glass windows, then you'll probably be happy with the single flap version. 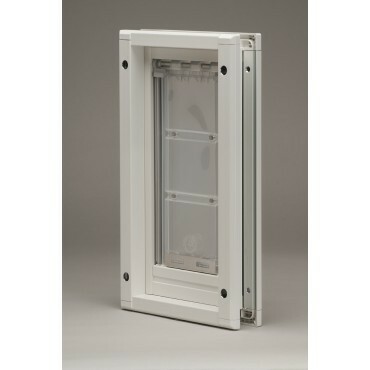 If you have (or wish you had) storm windows over your double pane glass windows, you'll probably want the double flap version. Note: Endura Flaps are not recommended for use by kittens or very small dogs. Cats have been successful using the #06 (Small), however a few have found the #08 (Medium) difficult to use. We would not recommend using the #10 (Large) or #12 (X-Large) or any of the double flap versions for cats.